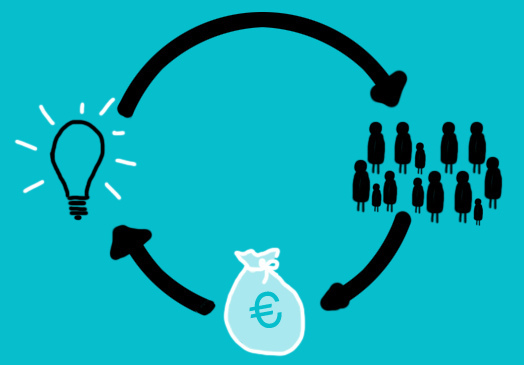 Have you ever heard of Crowdfunding? Given that it’s recently became a big buzz word, I’m assuming you have. It is a way that people can help get things they need through the generosity of others. If you were online, and you see that somebody was looking to buy an oven so they could open up a small bakery, would you not be compelled to help them? This is what crowdfunding is – they have turned to the public to find definitive financing for something which change their lives and other people’s lives, but do not have the funding to do so. By using the power of crowdfunding, you can make a lot of money for your goal – and you can make sure that people want to help you by conveying a powerful message. The main part of crowdfunding is, of course, finding a crowd to relate yourself to. This means you need to find somewhere to get your message across – this can be difficult of course, as there are simply so many ways you can get involved with crowdfunding. WishBooklet is a great little app you can use to create awareness and run simple campaigns for the gifts that you really want. WishBooklet makes raising money for the gifts you want easy. With easy deposits of pledges, responding to messages, giving out gifts for pledging and keeping people updated, WishBooklet gives you the perfect facility to create awareness and get the money for that gift that you’ve really wanted. With Christmas coming, there isn’t a better platform out there to share and get money for the gifts you want. Kickstarter is currently the largest crowdfunding platform in the world. While WishBooklet focuses on the crowdfunding of personal gifts, Kickstarter focuses on crowdfunding for charitable dreams, the arts, business, and ideas. Kickstarter is a great crowdfunding platform to use when you need to rise funding for a reason other than for yourself. Kickstarter is a great platform to raise money new product ideas, the arts, business and charitable causes. This cool crowdfunding platform has raised $97,000,000 for thousands of worthy causes; Razoo is the best crowdfunding platform out there for causes and organizations. The site focuses heavily on causes than profitable projects, although they do have a dedicated section for non-profit fundraising projects. Razoo provides crowdfunding for the 4 major categories; Nonprofits, Individuals, Corporations, and Foundations, and they each have their own benefits. Social Media websites genuinely have billions of users across the world, and this means that it can be used as a very powerful way to create crowdfunding. Social media is not necessarily a platform where you can raise funding such as WishBooklet and Kickstarter, but it’s a medium to spread awareness for your crowdfunding campaigns. By getting help from the social media pages, you can create awareness for your campaign which could help you reach your goal. Social Media gives you that huge demographic where you can basically laser target accounts and pages to generate more exposure for yourself. The world gets a bad write-up, but things like crowdfunding prove that people out there are more willing than ever to help people learn and improve their lives – all you need is the right awareness, and tools like WishBooklet, Kickstarter, Razoo, and Social Media could help you do just that! Don’t let your dreams dampen out for any longer, prepare for the future and give yourself the chance to really make a difference – the power of crowdfunding is just beginning and you could really make the most of that time and attention. 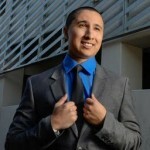 Eric Santos is a blogger, social media guru, and entrepreneur. Eric is the co-founder and Business Guy at WishBooklet, a gift crowdfunding web-app. Eric is the current CEO of Dwibbles and former founder and CEO of Soshowise Inc. Eric received a B.S in Entrepreneurship from CSUF. Eric serves an Account Manager for the software company Decipher and manages some of the company’s key accounts.